On May 16th and 17th in Belgrade we had the first CMC (Certified Management Consultant) certification hearing in Serbia. CMC certification was organized by Association of Management Consultants of Serbia and the hearing was conducted by Croation Association of Management Consultants, under the auspices of ICMCI (International Council of Management Consulting Institutes). CMC – Certified Management Consultant is an international branding and mark of qualification and represents evidence of the highest standards in management consulting and adherence to the code of ethics of the profession. 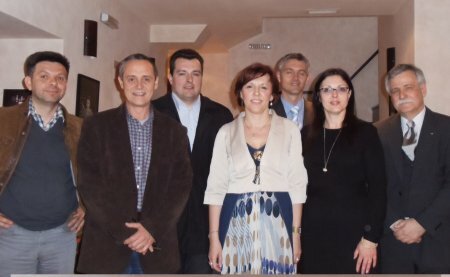 Eight consultants passed at the hearing for CMC certification: Gordana Matovic, Sanja Nikolin, Andrija Gencel, Aleksandar Ostojic, Miroslav Jelicic, Aleksandra Hristov, Miodrag Kostic, Daniel Tavcioski. I have presented my case study on Monday May 16th and successfully passed the CMC hearing.